New additions to the 2014 Staff! Seth Aland is the younger brother of fellow staff member, Jake Aland. Seth is a student at the University of North Florida in Jacksonville. Seth is an RA at UNF and is very involved with his campus ministries. 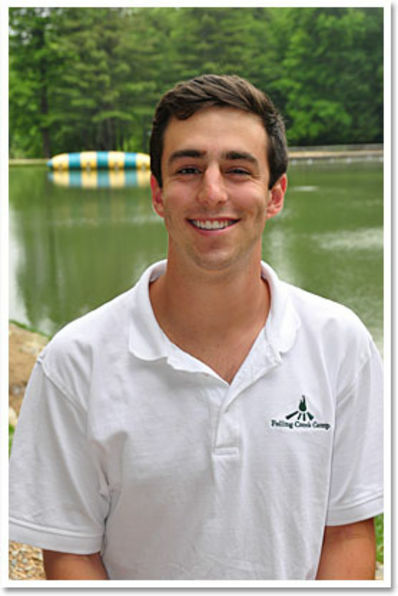 This will be Seth’s second year at Falling Creek as a cabin counselor and teaching fishing. Seth is a very accomplished fisherman. He has competed in both salt and fresh water fishing tournaments around the Southeast. Jared Hurt is from Burlington, NC, and attends Appalachian State University majoring in Recreation Management. At school Jared stays active with sports officiating youth league soccer games for the Watauga County Parks and Recreation Department. This will be Jared’s second year at Falling Creek leading backpacking trips. Jake Lee is from Elkins, AR, and is a student at Vanderbilt University majoring in child studies and studio art. At Vanderbilt, Jake is very involved with Vanderbilt’s WilSkills program. The entirely student-run course is designed to integrate academic study with practical experience in the wilderness. It utilizes both the classroom and the environment, combining lectures, films, and discussions with trips to the surrounding areas. Jake is also a member of the Vanderbilt Club baseball team and a Pre-School Mentor for a local Nashville elementary school. This will be Jake’s second summer at camp leading the mountain biking program. Mary Lobianco is very familiar with Falling Creek. Mary and her family lived in Hendersonville for many years and are family friends of Director Emeritus Chuck and Jean McGrady. Mary’s oldest son attended camp and along with his friend Steve McGrady. Mary works as a registered nurse in Charleston, and this will be her second year joining our medical team during August Camp. Gina Mallay will be a member of our medical team during our Main Camp session. Gina is from Charlotte, NC, and is a school nurse with Carolina’s Health Care System. Gina has many interests that keeps her busy when she is not taking care of her students. 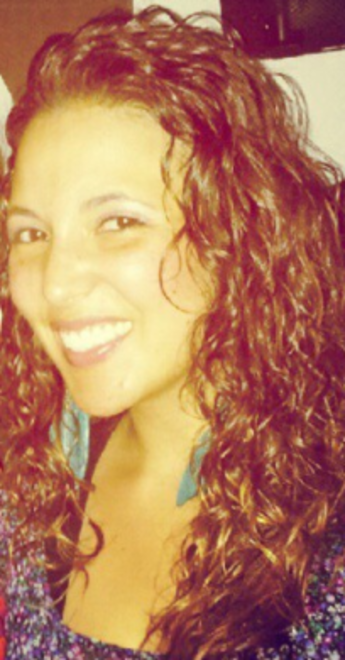 She is a dance instructor for the Carolina’s Latin Dance Company, volunteer with Hands On Charlotte and a Mentor for the Brairwood Elementary Young Ladies. Dwayne Maynard attends Berea College in Kentucky. This is his fourth summer at camp teaching Mountain Biking. Dwayne is very active and has worked with kids at Divers Den teaching scuba classes and sharing his passion for scuba diving. Last summer, Dwayne was one of the great trip leaders for our second CRANK mountain bike expedition to Colorado. Dwayne will once again be leading another unforgettable trip back out west this summer. Make sure you sign up for an awesome mountain bike ride this summer at MOAB. Chuck Niemeyer returns this summer as a camp nurse. He orients new nursing staff at the beginning of each session and helps out with our Father/Son Weekends. Chuck is a former camper and lives in Gastonia with his wife Bridget and children. His sons both attend Falling Creek. 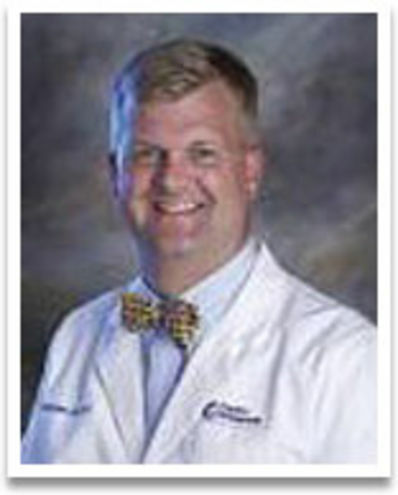 Chuck is a graduate of NC State and Emory University and is a Physician’s Assistant at Carolina Orthopedics. 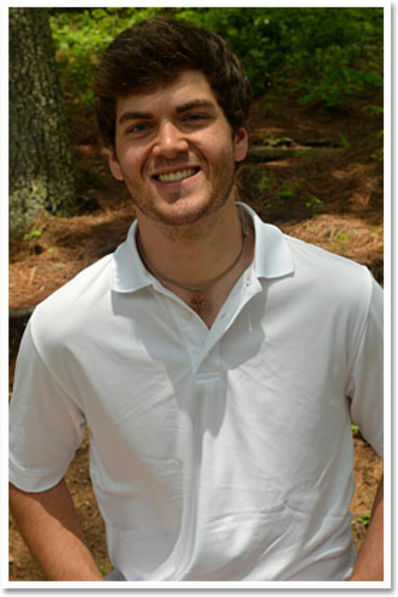 Will Vogan is a third year student at Hampden- Sydney College majoring in history. Originally from Norfolk, VA, Will learned about FCC from former Tribal Leader Watson Mulkey. At HSC, Will is a founding brother for Pi Kappa Alpha fraternity and is a singer with the Accousticals, a Capella group. 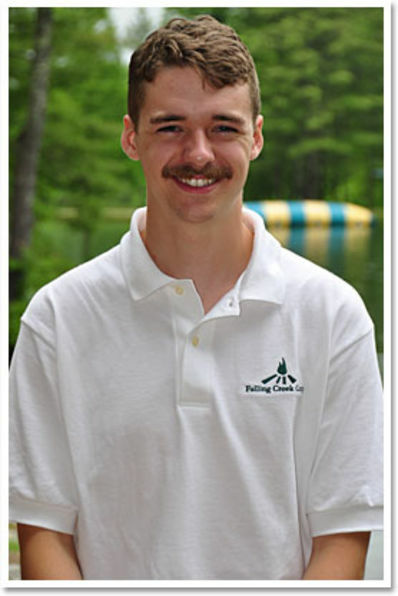 This will be his second year on staff as a cabin counselor and Wood Shop instructor. 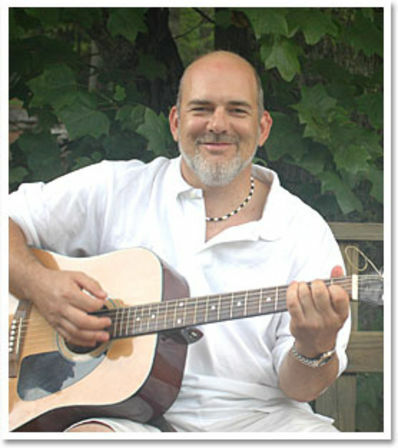 Evan Wescott is from Jenkintown, PA and is the oldest of eight brothers and sisters. 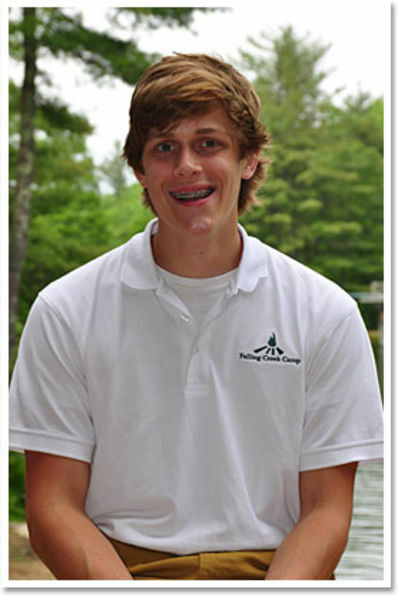 Evan attends Catholic University in Washington, DC and is majoring in mathematics and secondary education. When Evan is not busy with class, he plays on the schools ultimate frisbee team and enjoys exploring our nation’s capital. 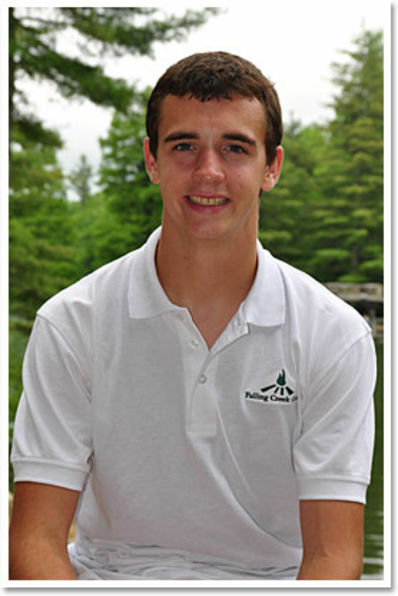 During high school, Evan was very active with the YMCA as a lifeguard and swimming instructor. 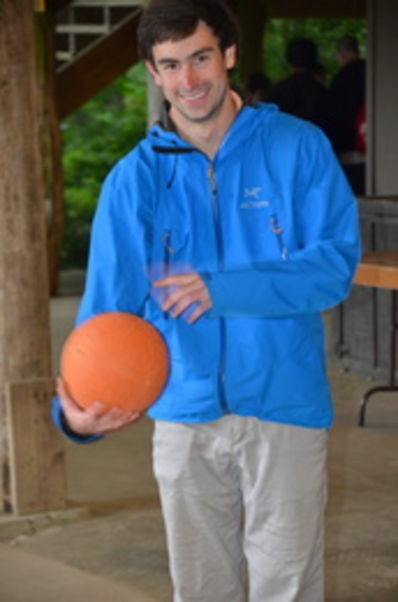 This will be Evan’s second summer at camp as a member of our cabin staff and will teach swimming and ultimate frisbee. More Staff signing on for 2014! Jake Aland is a rising senior at the University of Central Florida majoring in mathematics. 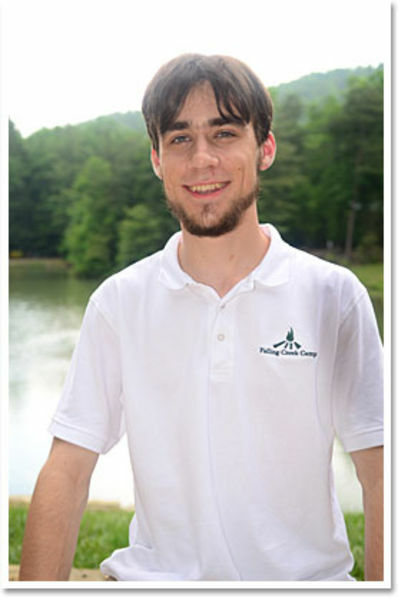 This will be Jake’s second summer at Falling Creek as a cabin counselor and the leader of our Wood Shop program. Originally from Panama City Beach, Florida, Jake continues his involvement with the children’s ministries at his home church and locally in Orlando where he attends UCF. Taylor Barker is a former camper from Greensboro, NC, and is a graduate of the University of North Carolina at Chapel Hill. This Eagle Scout has taught lacrosse, kayaking and ballroom dance. As a camper, Taylor was always on the river. He is back for his fifth summer on paddle staff. Taylor has been instrumental in the success of the FCC Paddling Expeditions. 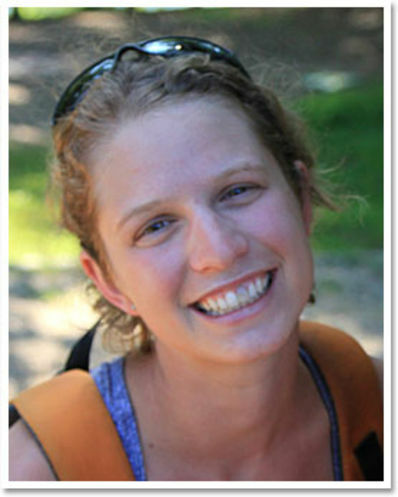 For the past three years, Taylor has led our best paddlers in Canada, Colorado and Costa Rica. 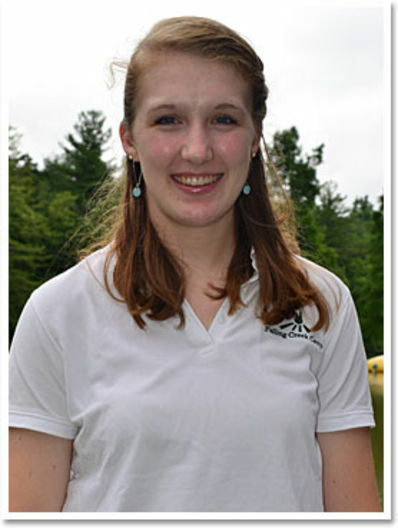 Taylor is extremely excited on leading our HUCK paddling group in Canada again this summer. Colin Barrett is a media communications and recreation major at Asbury College in Kentucky. Colin attended Young life Camps growing up and volunteered as a member of the Young Life work crew and ropes course facilitator. 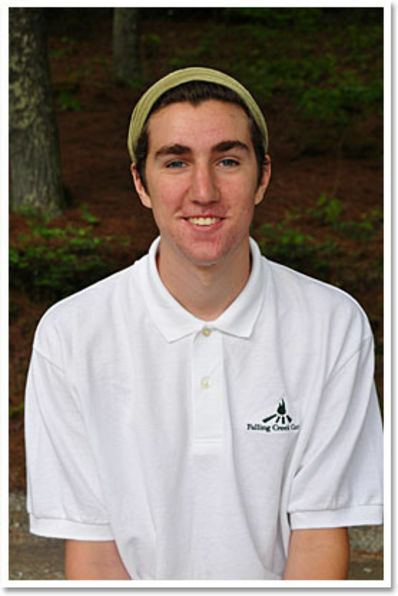 At school, Colin is a member of the Asbury cycling team and outdoor recreation leader. 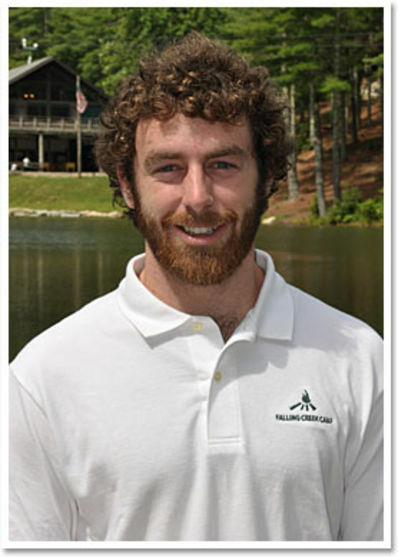 This will be his second summer on staff as a cabin counselor and mountain biking instructor. 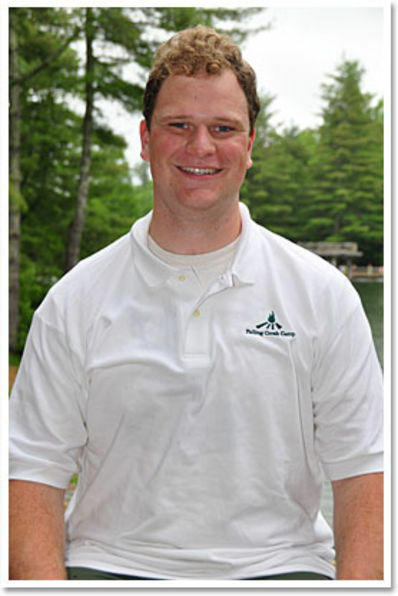 Peter Bishop will be returning for his fourth summer on staff as a member of our leadership team. Peter has served many roles at camp as the head of the waterfront and Iroquois Tribal Leader. 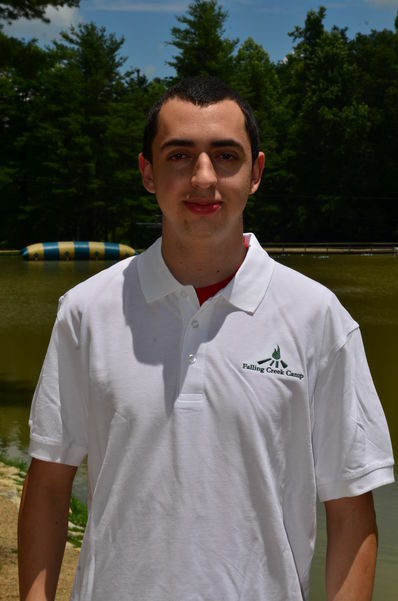 This summer, Peter will once again share his experience and leadership at camp as one of our tribal leaders. Peter is currently living in Australia with fellow FCC staff member, Jez and working at STATravel as a store manager in Sydney. Take A Hike! Thomas Dooley is back for another summer. He is a graduate from Belmont University in Nashville with a degree in Spanish. This will be Thomas’ fourth year on staff as leading backpacking trips. Thomas is a former camper from Bowling Green, KY, and definitely shares his excitement for camp everyday with the campers. Make sure you sign up for one of Thomas’ exciting trips this summer throughout beautiful western North Carolina. 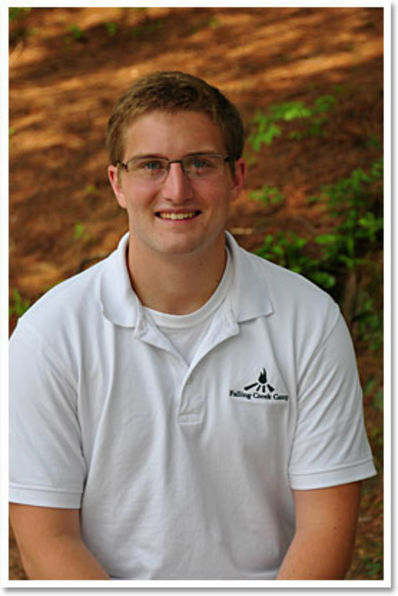 Graham Laws is a pre-med student at Samford University in Birmingham, AL. Graham was the captain, number one singles and doubles player all four years of high school in Lexington, SC and was selected for all-region. He was given an opportunity to assistant coach the girls’ middle school and high school team for two years and worked at Spring Valleys tennis club. 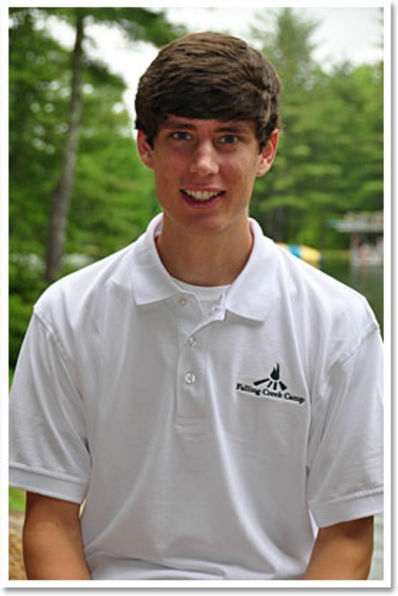 This will be Graham’s second summer at camp as a member of our tennis and cabin staffs. Sam Lyons is a former camper and CIT from Keene, KY just outside of Lexington. Sam is a sophomore at Asbury University studying Media Communications. Sam is an Eagle Scout and has guided BSA canoeing trips along the Boundary Waters near Minnesota. As a camper, Sam was highly involved in our Indian Lore program and progressed through the ranks. He will put this knowledge and these skills to good use teaching Indian Lore for his second summer, as well as, a member of our cabin staff. Welcome back to The Creek! Meet our fantastic staff for 2014. Bri Ambrosic lives in Asheville, and is leading our Horseback Riding program for her third summer on staff. Bri competes in hunter/jumpers as well as eventing and some hunter paces. For the past five years Bri has been the coach for the UNCA equestrian club team and has worked at Camp Illahee for four summers as a member of their equestrian staff. Originally from Martinez, GA, Matt Corbin is a senior at North Greenville University majoring in Outdoor Leadership and will be graduating this December. Matt has a true love for the outdoors. During the summer of 2012, he served as a TREK leader for C5 Georgia. C5 Georgia is an intensive five-year leadership and college-readiness program targeted to high-potential teens from challenging situations sponsored by the Coca-Cola Company. 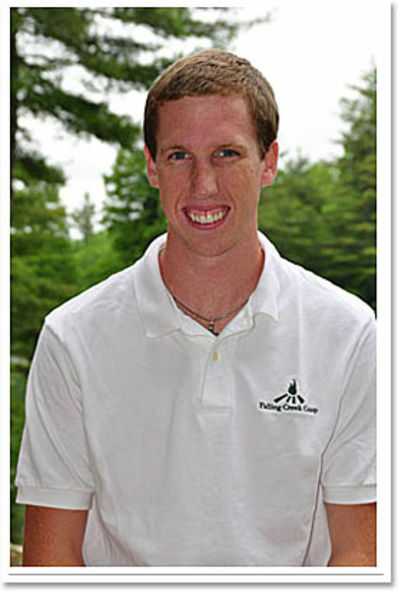 This will be Matt’s second year on staff as a rock climbing instructor. 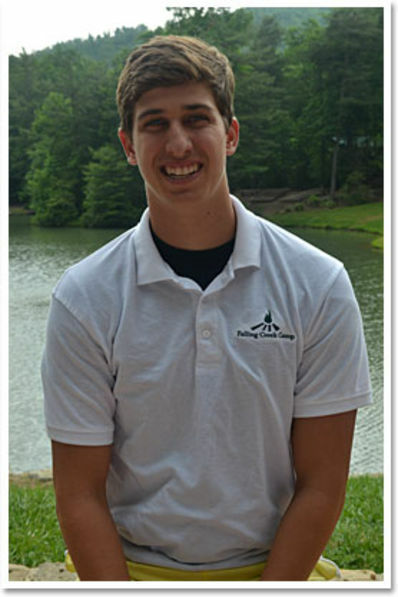 Originally from Simpsonville, SC, Devin Horgan is a Biosystems Engineering student at Clemson University. In high school, Devin was a member of the varsity wrestling team and has coached at several wrestling clinics for younger up-and-coming wrestlers in elementary and middle school. Growing up in Boy Scouts, Devin attended Camp Old Indian and has kept up his love for the outdoors. 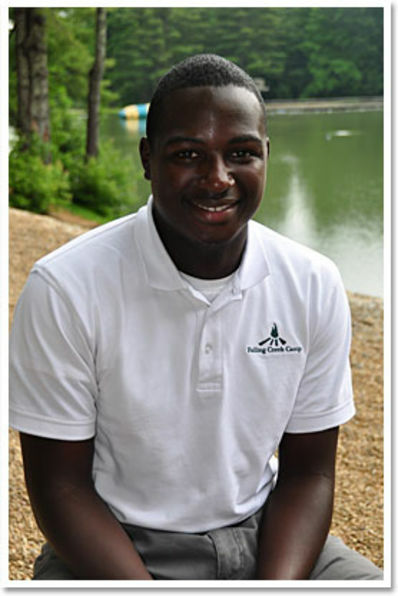 He is a member of Fellowship for Christian Athletes and the Clemson University Climbing Club. 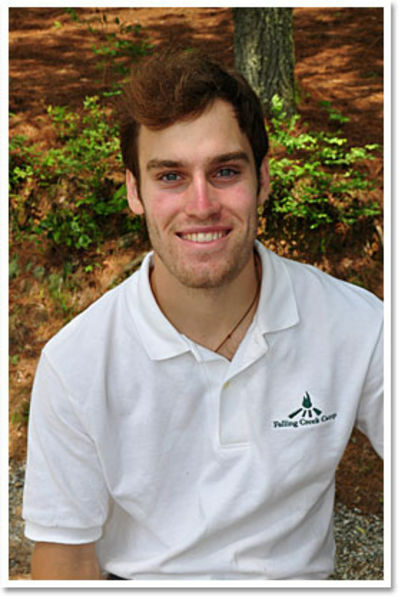 This is Devin’s second year on staff as a cabin counselor and rock climbing instructor. Zach Rivera will be joining Falling Creek for his third summer as a cabin counselor helping out at both cross-country and the HEAT. 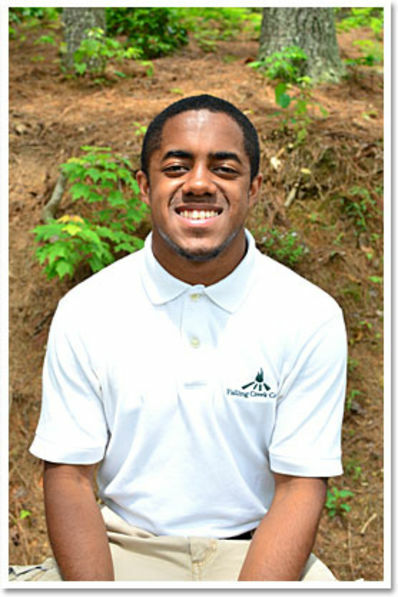 He is a junior at Georgia Southern University and is pursuing a degree in Psychology with a minor in Exercise science. Zach wasted no time in getting very involved in the school’s community. He is involved with the GSU Intramural program as an official for flag football and basketball, club sport supervisor, volunteer cross country coach for Statesboro High School, Eagle Entertainment/University Programming Board (Student Activities Board), Circle K International (Community Service Organization), Gerogia Southern University Running Club, and Southern Leaders (Leadership Organization). Let's get 2014 started....Meet our staff! Elizabeth Barfield is very familiar with Falling Creek and will be working as a nurse for her fourth summer at camp. 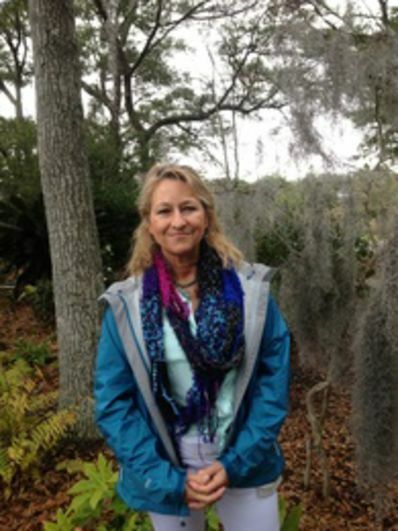 She has been a part of Camp Greystone with her sister Lell for several years as a camp nurse. Elizabeth is lending her experience to FCC this summer and is looking forward to seeing her grandson Mason attend camp for his second summer. Adrian Barnes is a graduate of Georgia Southern University with a degree in history. At Georgia Southern, Adrian was a member of the brass section for the Georgia Southern Marching Band and Phi Mu Alpha fraternity. This native of Mableton, GA, was very active in Young Life and was a crew member fro a Young Life Camp in upstate New York. 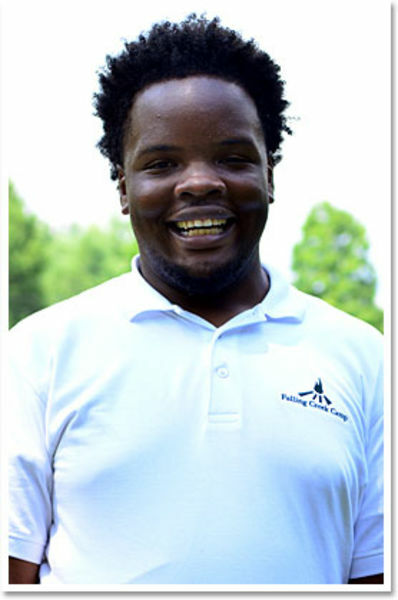 This will be Adrian’s second year on staff as a cabin counselor and indian lore instructor. Tommy Carroll is returning to Falling Creek for his fourth summer to be one of our Blacksmiths. He studies the art of bladesmithing (making knives, axes, etc.) and will share his knowledge and skills with campers this summer. Last summer, Tommy lived in New Mexico as a blacksmith apprentice to expand his craft. When you see him away from the blacksmith shop, pick Tommy for your ultimate frisbee team during freetime – he started and coached a team all the way to victory in the Maryland State Championships. Charlie Cassidy is a graduate of Georgia College and State University in Milledgeville, GA, with a degree in Environmental Science. 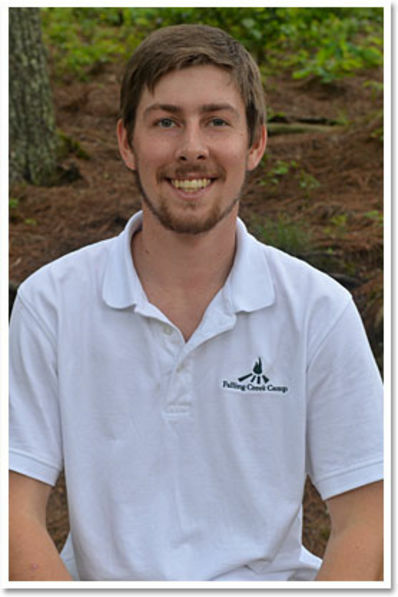 Since graduation, Charlie has been teaching for the University of Georgia as an Environmental Educator at the 4-H Centers for Rock Eagle (Eatonton, GA) and Burton (Tybee Island). Charlie discovered his passion for the environment through fly fishing. He thrives teaching the campers more about his passion for fishing, how water sheds work, entomology (matching the hatch), fly tying, how to read a river and trout habitat and feeding behavior. This will be Charlie’s second year on staff as our resident fish whisperer and leading our first father son fly fishing trip to Montana. Andrew Cobb is a graduate of Reinhardt College and was a member of their tennis team. During his high school tennis career, Andrew went undefeated his senior year then during his freshman year at Marion Military Institute in Marion, Alabama, he won conference. Andrew continues to play league tennis and will return to FCC for the forth summer as head of the Tennis Program and Advanced Tennis Camp. Tory Gentry comes to us from Vanderbilt University where she is a sophomore studying medical administration management. She comes from a camping background, spending six years as a camper at Camp Greystone. Tory is excited to bring her love for tennis to Falling Creek. She has been involved with various youth organizations her whole life, from teaching vacation bible school in the Dominican Republic to volunteering with Camp Opportunity, an after school program for underprivileged children. This will be Tory’s third sumer at camp and will be heading up the FCC Country Store again this year. Taylor Hall is a Software and Information Systems major at the University of North Carolina – Charlotte. Originally from Holly Springs, NC, this will be iTaylor’s second summer of staff as our Digital Asset Manager. Last summer, we introduced new technology to our program that keeps records and attendance for all of our programs in real -time. Taylor manages the data and technology involved to allow our programs to thrive and become more efficient. Mickey Herman is a ten-year former Falling Creek camper and CIT. He is currently attending Wake Forest studying Political Science and Business. This fall semester, Mickey is working very diligently on preparations for the LSAT and enter law school in the fall. Mickey is back e for his forth summer on the sailing staff. He will serve as one of our experience Tribal Leaders this summer. 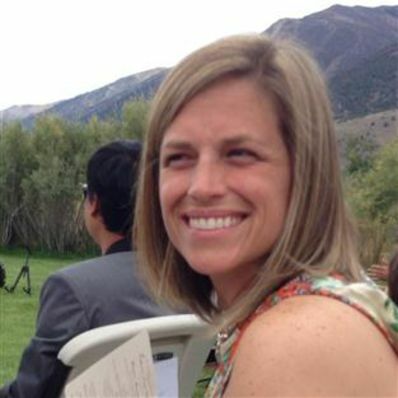 Erin Hiller is a former Merrie-Woode camper and counselor from Columbus, OH. This will be Erin’s fifth summer at Falling Creek. Her son Jack will be starting his fifth year at camp. Jack has attended June Camp for the last four summers. When Erin is not leading our Medical Team, she is an emergency room nurse in Columbus. 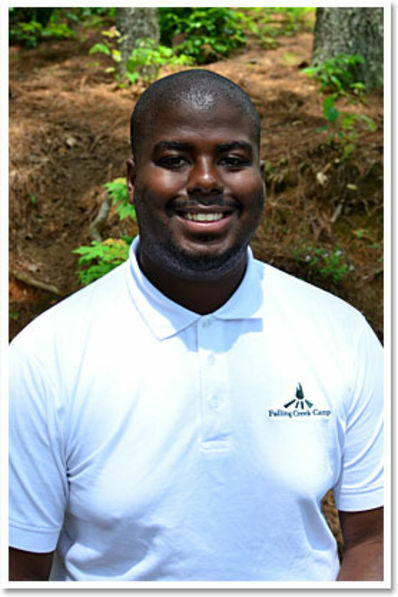 Jarvais Jackson is an elementary education major at Winthrop University in Rock Hill, SC. At Winthrop, Jarvais is a member of the Council of Student Leaders, a Winthrop Ambassador and VP of Communication for the Resident Student Association. This will be Jarvais’ second summer at camp and will be one of our camp photographers. What started as a hobby, Jarvais has a passion to share with others what he sees through his lens. Jez returns for his eighth summer on paddle staff. 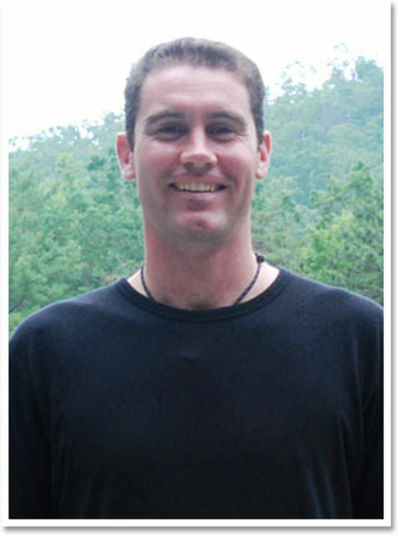 He is World Cup Freestyle Champion, three time world cup event winner, Australian Rafting Team member, six time Australian National Champion, and Team Jackson Kayak member. This past August, Jez won the bronze medal at the 2013 World Championships at the Nanatahala River. He has co-produced films through Skippy Films and has instructed whitewater kayaking in both the USA and Australia for over a decade. Jez leads the HUCK Paddling trip and is looking forward to taking Falling Creek back up North to visit our Canadian friends on the Ottowa River. Robert Kirby returns for his 25th summer on staff. 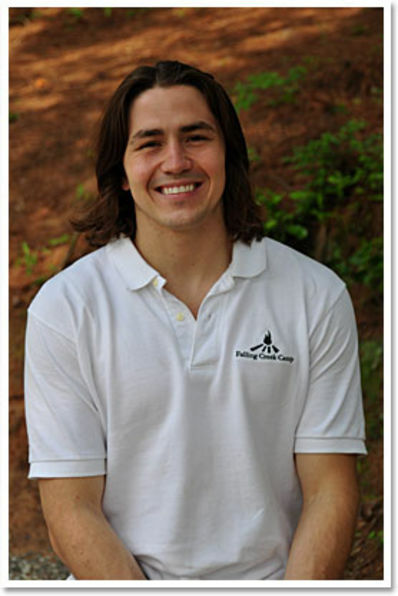 He will be working this year as the leader of Falling Creek’s Counselor In Training and indian lore programs. This is a leadership program that consists of former campers who are entering their senior year of high school and preparing for their opportunity to be on staff when they are eligible. Robert is a high school “teacher-of-the-year” in nearby Hendersonville. Matthew Kornegay is from Clarksville, GA, and attends the University of North Georgia majoring in Computer Science. Matthew is no stranger to summer camp, he grew up at Lake Aurora Christian Camp in Lake Wales, Florida, and since moving to Georgia he has volunteered frequently at North Georgia Christian Camp in Clarkesville. 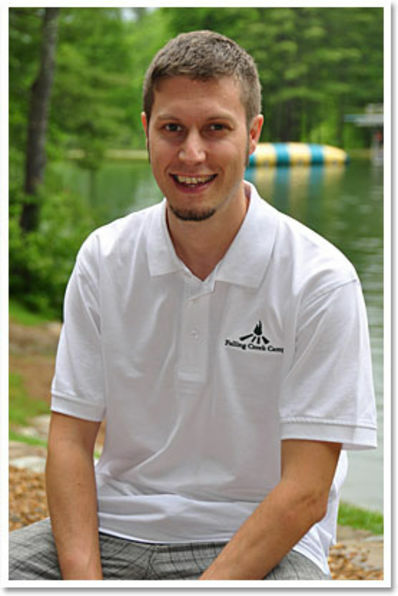 This will be Matthew’s second summer at FCC teaching archery and as a member of our cabin staff. Andrew Maddox is a biological science major at Clemson University. Andrew grew up just out side of Columbia in Lexington, SC, and played on his high school ultimate frisbee team. Andrew was very involved in Boy Scouts growing up and spent a lot of time backpacking on the AT and in the Rocky Mountains. This will be his second year on staff as a cabin counselor and teaching football. Stephanie Mimbs is from Loganville, GA, and attends Young Harris College in Young Harris, GA. At Young Harris, Stephanie is an Art Education major and runs for the YHC Cross Country and Track Team. This will be Stephanie’s second year on staff as a member of our Pottery crew. David Morgan will be joining our medical team again during our 2-Week Session. 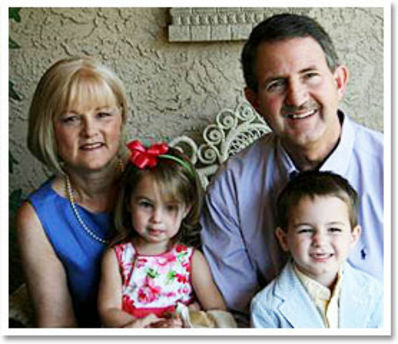 This will be David’s second summer at FCC and he lives in Columbia, SC, with his wife Karen and their son Matthew. 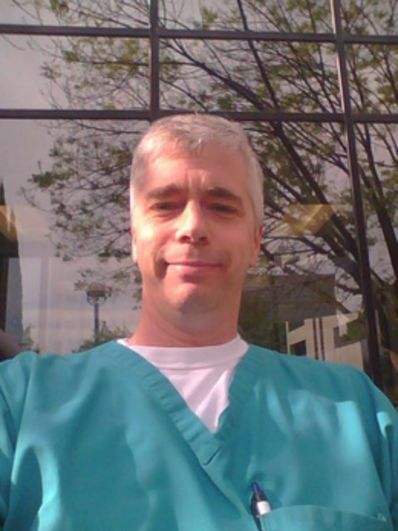 David is a Manager for the PACU at Palmetto Health Richland and is also in the Air Force Reserves as a RN. Jim Parham is back for his eighth summer on staff. He is an accomplished mountain biker and author who helped guide our Mountain Biking Program over the past several the summers. 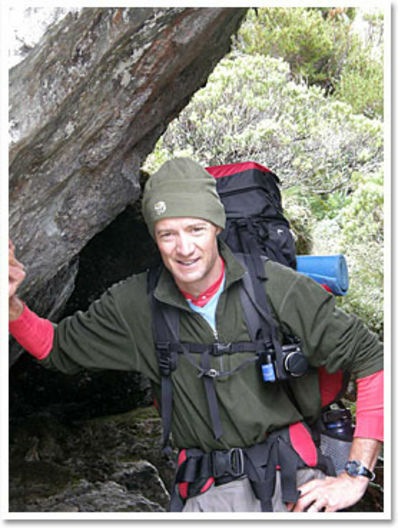 Jim has written books including Off The Beaten Track – a series of mountain bike guide books. 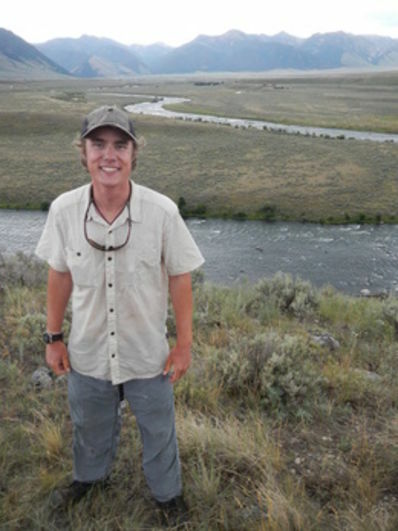 This summer, he is lending his experience to our Backpacking Program in Main Camp leading the Blaze Wyoming Trip to the Wind River Range. 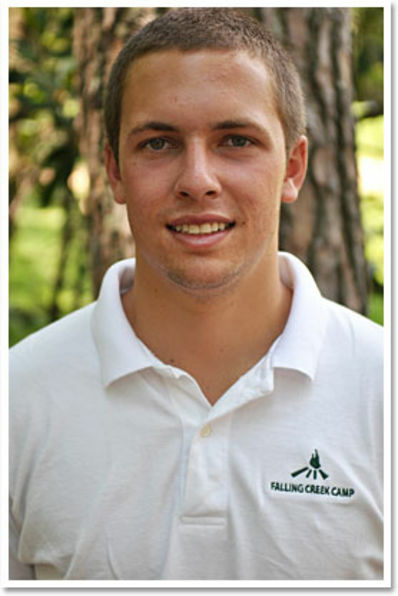 Kevin Pelsinski is a graduate of Central Wyoming College with a degree in Outdoor Eduation and Leadership. He was a teacher at Tollhouse Preschool in Merrimac New Hampshire and a Student Activities Representative at Central Wyoming College. 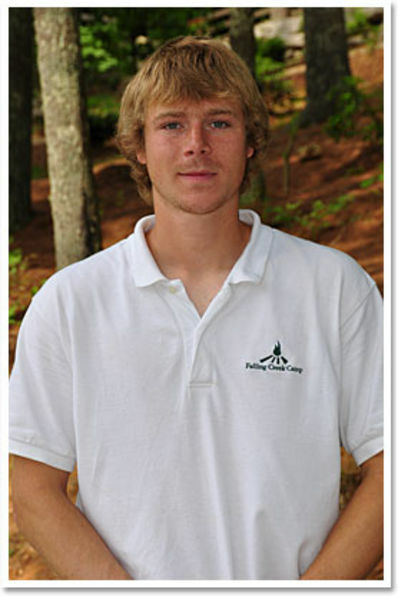 This will be Kevin’s third year on staff and will be sharing his vast paddling experience to the tripping program. Andrew Smith graduated from Valdosta State University and is a second year student at the Vanderbilt University School of Nursing working on achieving his Nurse Practitioner degree. He is excited to return to Falling Creek for his sixth summer to help lead our HUCK Paddling trip to the Magpie in Canada. Andrew’s other interests include horseback and tennis. 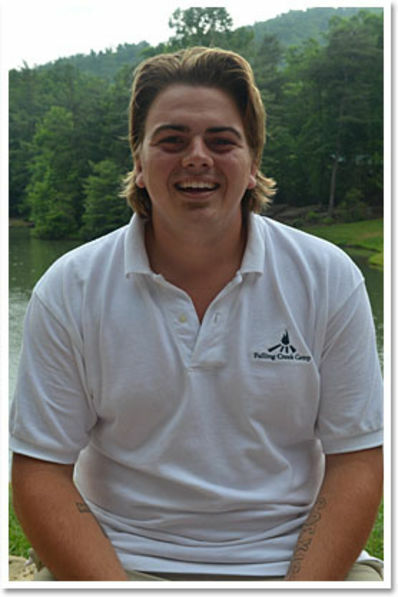 Mike Stephenson is from Hoschton, GA, and attends Berry College majoring in History and Secondary education. At school, Michael is a member of the Berry Crew team, Young Life, Model United Nations, Phi Alpha Theta (History honors society), Cross Country team and the Honors Student Union. This will be Michael’s second year on staff teaching cross country. Harry Titus is from Sumter, SC, and attends Coastal Carolina University majoring in elementary education. At Coastal Carolina, Harry is president of the Resident Hall Association, is a Dalton-Floyd mentor at South Conway Elementary School mentoring students, and a Teal Trailblazer (campus tour guide for Admissions Office). 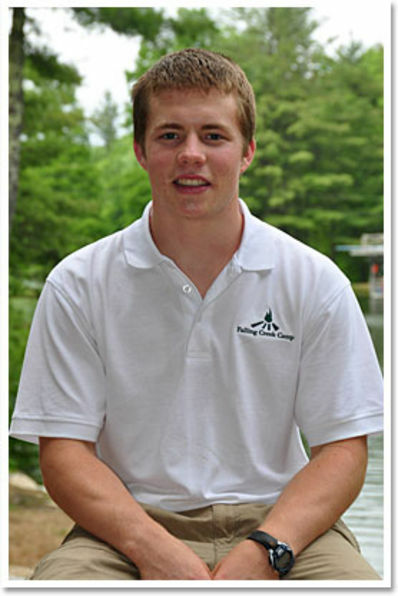 This will be Harry’s second year on staff as a cabin counselor, basketball and wood shop instructor. 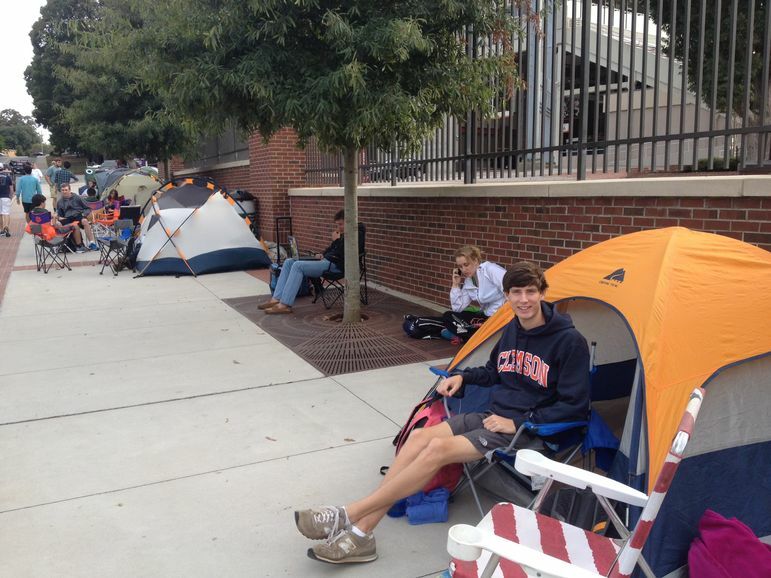 Andrew Maddox camping out for College Game Day! Andrew Maddox is ready for some football! For the second time this year, ESPN College Game Day will be live from Clemson University as #3 Clemson Tigers play #5 Florida State Seminoles this Saturday. Andrew is camped outside of Death Valley this week to make sure he gets his ticket for the game. Make sure you watch ESPN – College Game Day this Saturday at 9 am. You just might see the FCC logo in the crowd. 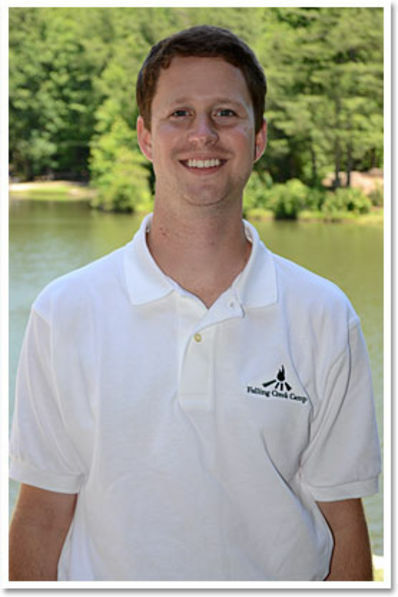 We are excited to announce that this will be Andrew’s second summer at Falling Creek. Andrew is from Lexington, SC and is majoring in biological sciences at Clemson. Have a great time at the game Andrew. Go Tigers!